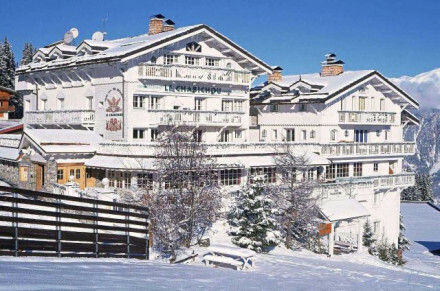 The Three Valleys boasts some of the Alps most diverse and arguably best skiing. The surrounding mountains offer a plethora of activities from skiing to hiking and climbing. 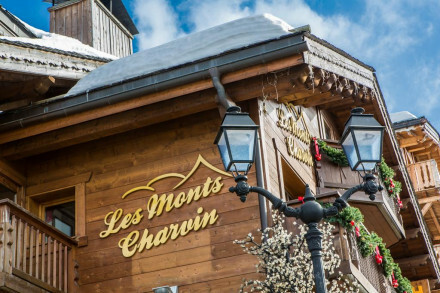 Courcheval has a lively nightlife scene from buzzy restaurants to packed clubs. Miles of hiking trails start from nearby the property. The fact you can wake up and pretty much ski outside of your door is a winner. You feel as though you are really immersing yourself within the beauty of the mountains. They are literally on your doorstep. I think the fact you can do this is what the guests love. Of course, skiing is the number one activity! However, for non-skiers or those who wish to have a little self-indulgence, the in-house spa is a place for ultimate relaxation. The team focus on authentic and holistic treatments to rejuvenate and reenergise the mind, body and soul. Pre or post skiing – the spa is a space just for Portetta’s guests to completely unwind. After a long day of skiing pop down to our Fire & Ice bar and have yourself a hot chocolate or a few shots of vodka in our very own shot glasses sculptured out of ice! Next to an outdoor open fire, what could be better? For those who cannot wait to get on the slopes or those who wish to fuel up before a busy day, our breakfast menu is designed to suit all guests. We serve a full continental breakfast full of delicious options and a full breakfast menu to choose from. Do you offer other meals and can you recommend good restaurants for lunch and dinner? We serve food morning, noon and night. As well as having our Fire & Ice bar that serves pizza from our woodfired oven, Cucina Angelina is an onsite restaurant specialising in Italian influenced mountain food, a fine selection of wine and a relaxed and casual dining experience. What are your most popular room types and why? Our lofts are popular as they have such incredible and truly breath-taking views of the surrounding areas. 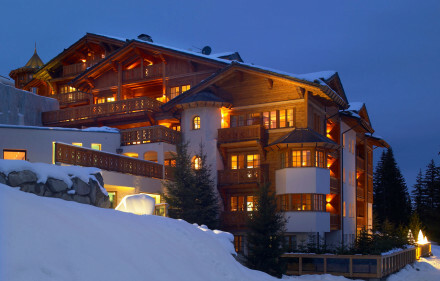 Although the piste and snow-white landscape are beautiful, the lofts have just as much wow-factor. With a roaring fire and a wooden panelled interior, the irresistible feel of cosiness makes it a tough choice between skiing or tucking yourself up in the warmth of the loft!